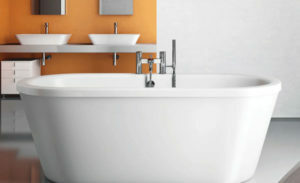 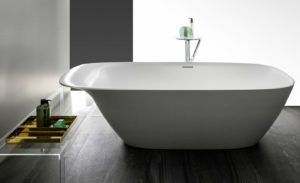 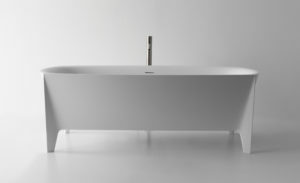 INO freestanding bathtub.Solid surface material Sentec. 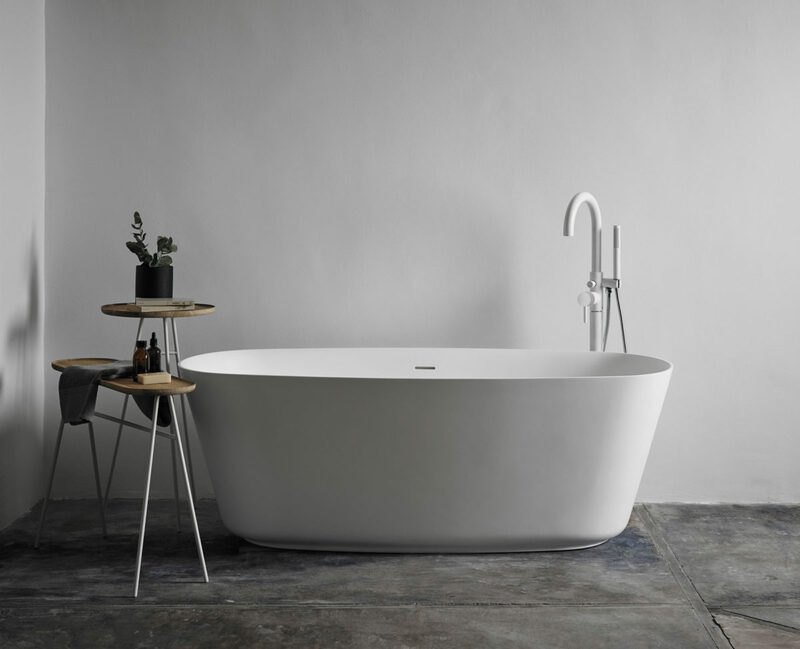 The new bathroom collection Ino, designed for LAUFEN by French designer Toan Nguyen, a fresh interpretation of classic washbasin forms. 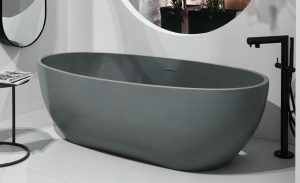 The innovative collection skilfully uses the creative possibilities of LAUFEN’s SaphirKeramik.